The second suspect being sought after fleeing a traffic stop along Interstate 70 early Thursday morning was captured early Friday morning. 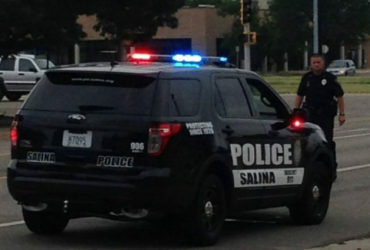 A manhunt involving several law enforcement agencies was called off late Thursday afternoon after officers were unsuccessfully able to locate one of two people who fled from a traffic stop along Interstate 70 about 25 miles west of Salina. The manhunt started after a passenger car was stopped for a traffic violation at around 6:30 Thursday morning. The car was stopped near the Ellsworth / Lincoln County line in the area of milepost 224 near the Lincoln Hill. During the traffic stop, two people fled. Multiple law enforcement officers responded to the area to help in the search. One of the suspects, a white male, was caught by mid-morning. The second suspect, a black male, was still being sought. By late afternoon, after unsuccessfully locating the suspect, officers cleared the area. Though there was no longer a search involving multiple officers, law enforcement in the area remained vigilant. Authorities tell KSAL News that the second suspect was found early Friday morning, hiding in a grain bin in the area north of I 70. UPDATE: A manhunt involving several law enforcement agencies was called off late Thursday afternoon after officers were unsuccessfully able to locate one of two people who fled from a traffic stop along Interstate 70 about 25 miles west of Salina. 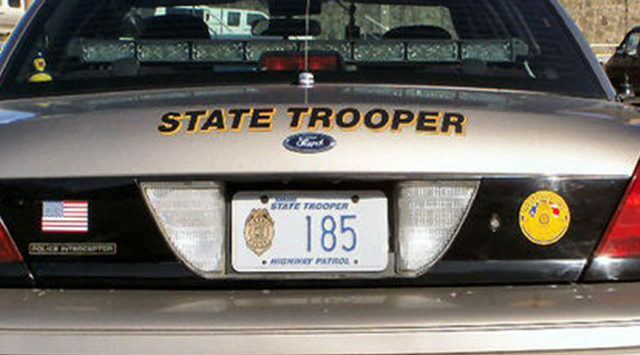 Kansas Highway Patrol Trooper Ben Gardner told KSAL News that a passenger car was stopped for a traffic violation at around 6:30 Thursday morning. The car was stopped near the Ellsworth / Lincoln County line in the area of milepost 224 near the Lincoln Hill. During the traffic stop, two people fled. Gardner said one of the suspects, a white male, was caught by mid-morning. The second suspect, a black male, was still being sought. By late afternoon, after unsuccessfully locating the suspect, officers cleared the area. Though there is no longer a search involving multiple officers, law enforcement in the area remain vigilant. The agency is investigating the possibility that an involvement with illegal drugs prompted the suspects to flee. ORIGINAL: A manhunt involving several law enforcement agencies was still underway early Thursday afternoon for one of two people who fled from a traffic stop along Interstate 70 about 25 miles west of Salina. Gardner said one of the suspects, a white male, was caught by mid-morning. As of early afternoon the second suspect, a black male, was still being sought.